Dimensions: 100"W x 16"L, not including header. 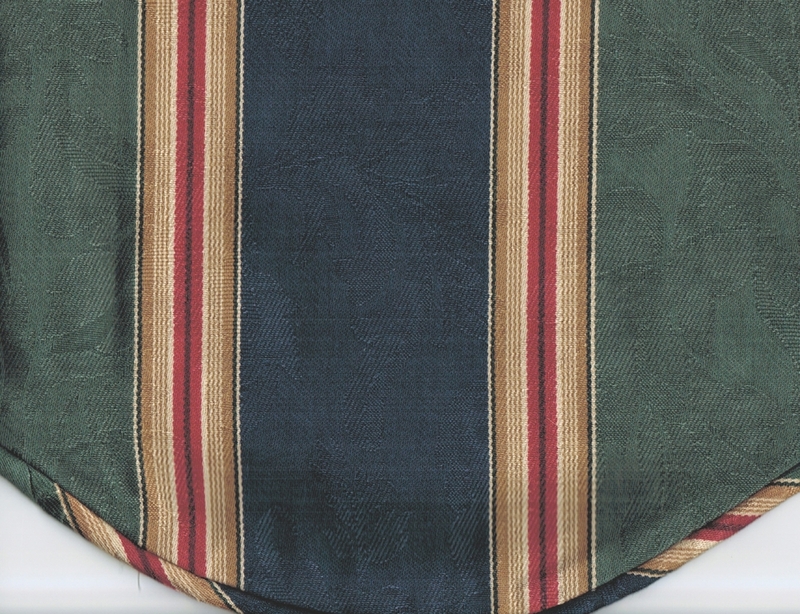 Capulet Stripe Midnite features wide stripes in Navy and Green with narrow stripes of Burgundy. For proper fullness please allow 1 1/2 to 2 time the width of your rod. 3" rod pocket, 2.5" header, lined. Use a 2 1/2 inch continental rod for hanging.